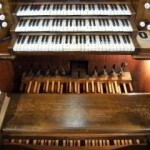 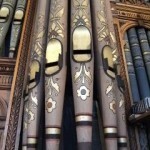 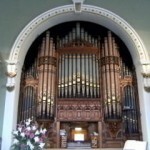 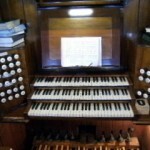 Our organ carries on the tradition of organ music in places of worship started in the fourteenth century, when pipe organs as we know them today were developed. 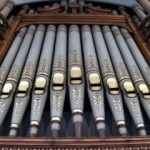 Before that a simple instrument was used, based on an instrument which was invented in approximately 300 BC by the Greeks; this instrument was in itself a development of wind or pipe instruments found in Ancient Egypt art and Hebrew writing, which were blown into to produce a sound, similar to modern day recorders. 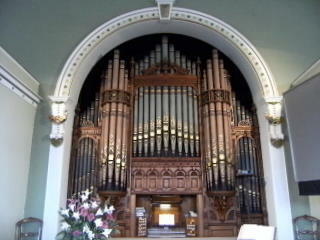 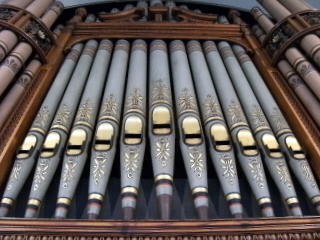 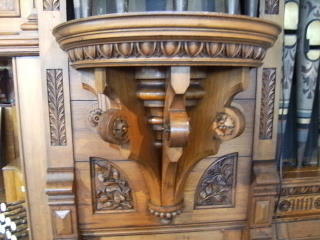 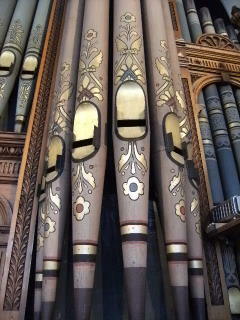 Our organ was installed in 1901. 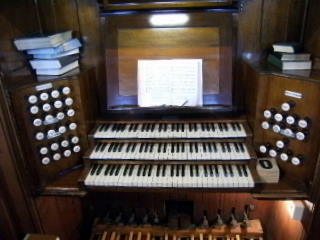 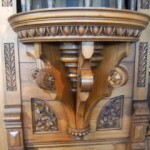 It was built by local firm of Peter Conacher & Co at Springwood; consisting of three manuals, twenty nine speaking stops and tracker/pneumatic action and cost £644/10/-. 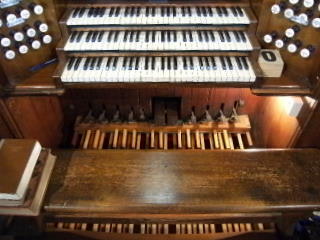 It is still regularly used in the church services.